This is a wonderful Art Deco tray. 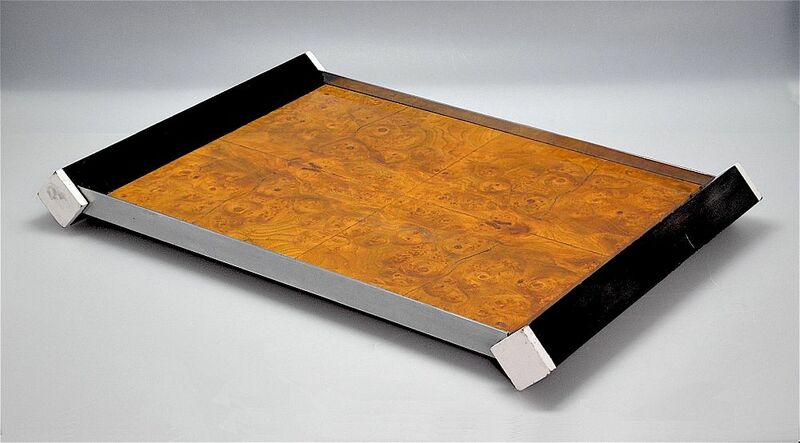 The large rectangular base is covered with 4 sections of burr walnut veneer. At each end are square wooden handles set on the diagonal, that have been ebonised and the ends painted white. The handles also act as the feet. The tray has solid chrome sides.